A post-race penalty has dropped Jamie Whincup from second to 14th in the results from the opening leg of the WD-40 Phillip Island 500. Whincup has received a 38 second post-race time penalty for turning off his pitlane speed limiter prior to reaching the end of pitlane following his first pitstop. That breached Rule C15.4.2, which states that "the Limiter must be activated at all times while a Car is moving in Pit Lane". Whincup had held off arch rival Scott McLaughlin through two pitstop cycles – the cars pitting together on both occasions. McLaughlin eventually found a way through at Turn 2 with 17 laps to go, taking the win and a one-point lead over Whincup in the championship. 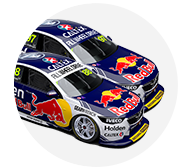 That gap has now blown out to 76 points, with Whincup fourth in the standings behind McLaughlin, David Reynolds and Shane van Gisbergen. Stewards confirmed the penalty this evening, noting that data from all cars was checked as part of a review by Sporting & Technical Director, David Stuart. "Following a report from Supercars Pit Lane Officials, it was alleged that Car #1 deactivated the Pit Lane Speed Limiter prior to the end of Pit Lane following a pit stop," read the stewards' bulletin. 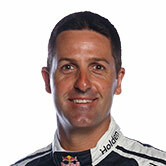 Speaking in the post-race press conference before the penalty was handed down, Whincup said he'd feared a penalty may have been coming for speeding at pit entry on his first stop, due to a hit from behind by McLaughlin. Whincup's penalty promoted van Gisbergen to third in today's race, the Kiwi scoring strong points despite being hampered by power steering problems. Further down the order, Simona De Silvestro was handed a 15-second penalty for contact with Jack Le Brocq at Turn 10 on lap four. The sanction demoted the Nissan driver from 23rd to 24th, behind James Golding, who served an in-race penalty of 15 seconds for turning De Silvestro around at Turn 10 four laps later. Of the De Silvestro/Le Brocq incident, the stewards’ summary read: “Following the Race, at the request of Nissan Motorsport the DRD conducted an investigation into an allegation that Car #19, Jack Le Brocq, had brake-checked Car #78, Simona de Silvestro, at Turn 10 on Lap 4,” the stewards’ summary read. “After reviewing judicial camera footage of the Incident from Car #78, the DRD determined that Car #19 had not committed any breach of the Rules, but Car #78 had driven carelessly in breach of Article 2.1.1 of the Code of Driving Conduct (Schedule B2) in causing contact with Car #19 causing Car #19 to spin and lose positions.